Learn what to do if your subscription got cancelled. When this happens, it usually means that the bank blocked the transaction, there are insufficient funds or the credit card expired. If the bank blocked the transaction please contact them and make sure they approve it and it’s set to be approved for future charges as well. 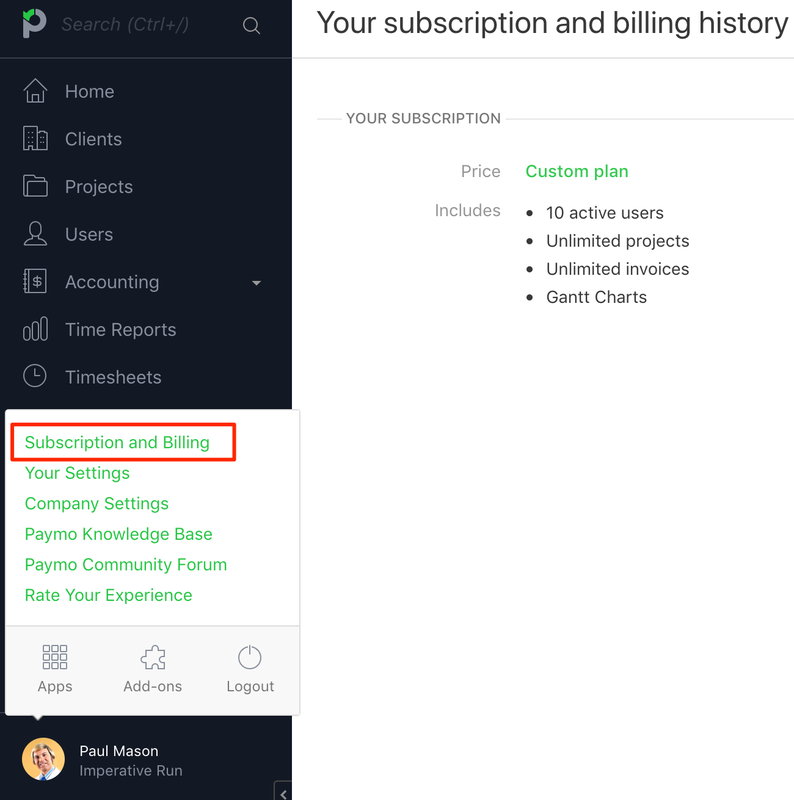 Once that’s done you need to go to your Paymo account and click on your name (bottom left) → Subscription and billing and re-subscribe from there. When your subscription is cancelled automatically, your account data remains intact and once you re-upgrade everything gets back to normal. Depending on the account type you will have the option to Change subscription or to Switch to new pricing plan. If you select the Change subscription option you will get back on your current subscription plan and if you Switch to new pricing means you will have these pricing plans. Note: Only new pricing plans have the annual subscription option.